If you chance upon a cookbook with “Grange” in its title, at a garage sale or flea market, buy it immediately. These books, self-published by the thousands as fundraisers by Grange farm organizations nationwide, have become valuable. The 1948 “Ohio State Grange Cookbook” sells for $50, used. Editions, such as the 1977, are commanding $10 or more. The usual garage-sale price of similar items is less than a dollar. “I love them, have hundreds of them in my collection,” says Mary Netwick of Cleveland, Ohio. She emailed me for potential sources of the early (pre-1950s) Stark County Grange series of spiral-bound cookbooks. There are a lot of Grange titles, and that pleases collectors. But a few have become exceedingly rare, and that adds a financial kick to the hobby. One of the most sought after is “National Grange Family Cookbook” published in 1979 by Favorite Recipes Press. It recently sold in an online auction for $160. Adding to the hunt is the books are never published by major booksellers. They are printed by obscure companies specializing in fundraising efforts. As a result, they have small press runs, are not stockpiled and rarely are available in all but antiquarian bookstores. 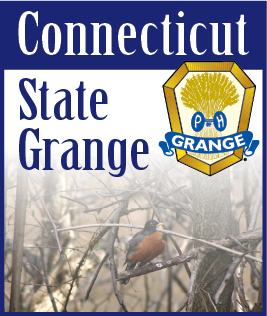 “Grange recipes are obviously tested and approved, unlike recipes in many cookbooks. My family is hooked on them,” she said. The recipes reflect their agricultural source. They specify fresh, healthful ingredients and nearly always are hearty enough to satisfy hungry farmers on harvest days. Still, they are economical and quickly prepared in busy farm kitchens. Mix top four ingredients. Cut butter and margarine into cubes and using hands work them into mixture until it is granular. Mix in cheese and buttermilk to make a dough. Roll out on floured surface to 3/4 inch. Cut with biscuit cutter or floured water glass. Bake at 350 degrees until golden brown. Makes 30 biscuits. Notes: For softer biscuits, bake close together so they touch. For seeded tops, brush cut dough with milk, then scatter poppy or sesame seeds. Biscuits are best served warm with butter and jam or applebutter.